The AIM NetworkNews and PoliticsDon’t mention a Default Price for electricity ! Don’t mention a Default Price for electricity ! The National Energy Guarantee (NEG) we are told is all about bringing down the electricity prices paid by consumers whilst at the same time paying lip service to reduce our CO2 emissions. This latter objective is a little bit Ho-Hum as our prime minister is currently going to extreme lengths to appease the climate change deniers (and hold on to his job) and is likely to drop emission reduction targets altogether in the next few days, so for the moment let’s focus on bringing down prices. 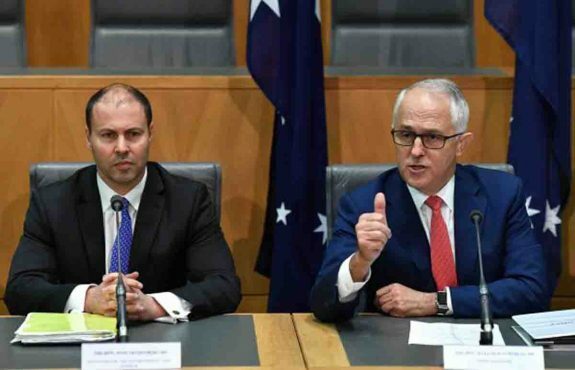 It is electorally popular to have a policy of reducing household energy prices, the government have come out boldly and told us that with their NEG we can expect that the average household to start saving $550 a year on their electricity bills commencing 2020 and each year thereafter. But that headline-grabbing number won’t appear in any legislation neither will it feature as part of the ‘guarantee’. Indeed, only $140 of that saving is loosely linked to the NEG, the other $400 has got to come from somewhere else but it’s not clear where. This recommendation by the ACCC is simple and straightforward and will we are told bring down household energy costs and bring much-needed transparency to an industry that has thrived on obfuscation and the ability to gouge customers by intentionally making their pricing regimes obscure, unclear and unintelligible. Moving average residential customers who are still on the range of current ‘standing’ offers to the new ‘default’ offer could result in savings of $500 to $750 per annum (25-35 per cent). Similarly, small and medium businesses could save $1450-$2250 (30-35 per cent) per year by moving to a standard ‘default’ offer. Currently over 20 per cent of small businesses are on high ‘standing’ offers. Whilst Labor have embraced the ACCC recommendations, the coalition have been less than enthusiastic with some on the far right of the coalition comparing this form of price transparency to rampant socialism. At a time when our prime minister is poised to be unceremoniously dumped by a rabid right-wing mob led by Tony Abbott and Barnaby Joyce, like a bunch of extras from the Living Dead, salivating at the prospect of tearing down Turnbull and installing a potato in his stead – it is suggested that he will bypass the recommendations of the ACCC just to appease these knuckle-draggers. For us, the consumers, it is critical that we force the government to focus on and to adopt this eminently sensible recommendation from the ACCC. The full ACCC report is here and the recommendation in question is under Chapter 12 Recommendation 30. And here are the reasons that the Liarbral Party and the “National$ prefer Adulterers” will NOT allow this to happen …. it would advantage everyday Australian voters and their families. “Women supporting Adulterers support National$”. For the umpteenth time in the past 6 years, the L’NP is split asunder with the “strong leader” Prime Minister conceding defeat to his predecessor and in the process pulling the Liberal Party to pieces, and just for good measure the National Party with it. This L’NP government is now completely incapable of governing and the PM should immediately call an election so the people can decide. The LNP do not “do” government, they do business opportunities for themselves and their cronies. That is all. A quick way to reduce utility prices without the pain of negotiating with the privatised energy providers would be to remove the GST from household electricity and gas, which are just as essential as food. GST could be charged on a set excess perhaps. The self inflicted poo level is rising and is now just under his chin and he’s scared witless (bet you thought I was going to say shitless) by all the back room knife sharpening. All this whilst energy companies announce record profits… but wasn’t privatisation supposed to deliver cheaper energy? that failed to bring costs down. But will it save him ?